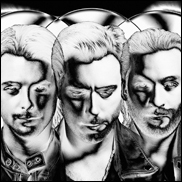 LONDON (CelebrityAccess MediaWire) – Swedish House Mafia announce the final leg of their world tour. After a week of dots appearing around the Globe, over 20,000 sightings from planes to projections, fans joining in across the world and trending globally twice on Twitter, the dates have been revealed. One Last Tour, will be Swedish House Mafia’s most extensive shows to date starting in Dubai in November and will see the band travelling across continents, visiting India, Russia and South Africa for the first time. The band bids a farewell to their fans during One Last Tour.